Aileen Cassidy, MSHS PA-C earned her Bachelors of Science in Exercise and Sport Science from the University of Georgia. She went on to graduate from the Physician Assistant Program at George Washington University, obtaining her Masters of Science in Health Sciences in 2004. Prior to graduation, Ms. Cassidy began her dermatology training, completing a clerkship under the mentorship of Drs. Jaffe, O’Neill, and Lindgren. 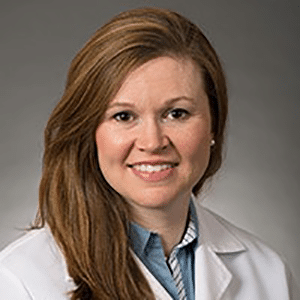 Her interests include general dermatologic care: treating a broad range of dermatologic conditions in both pediatric and adult populations, performing skin cancer screenings, and performing shave and punch biopsies. Her dermatologic career has also included cosmetic dermatology, predominately the injectable therapies such as Dermal Fillers, Neuromodulators, and Sclerotherapy. She is licensed in the State of Maryland and is nationally certified by the National Commission on Certification of Physician Assistants. She is an active member of the American Academy of Physician Assistants and is a Diplomate Member of the Society of Dermatology Physician Assistants.